A half-timbered building is always pretty to look at. 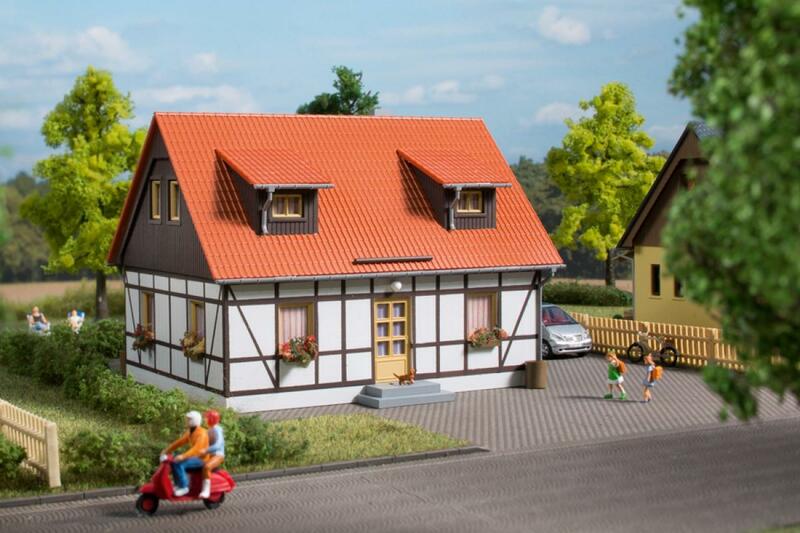 With the addition of outdoor lighting, snow blades, solar collectors, roof vent, satellite system and flower boxes with colored foam, you can create a very realistic scene. In addition, we recommend our art. 41 648 Security fence with columns, Art. 41 649 Garbage bins with accessories and Art. 41 650 terrace equipment.